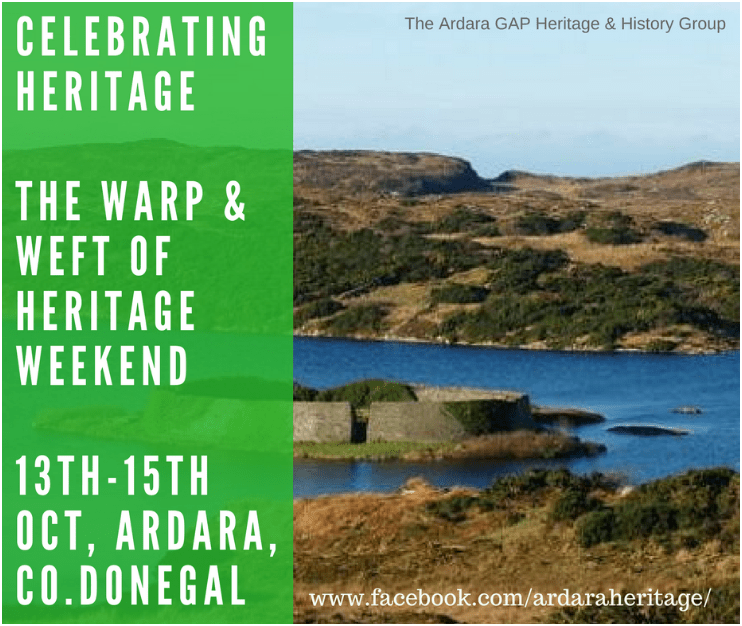 This weekend sees the second annual ‘Warp and Weft of Heritage’ Weekend taking place in Ardara and the greater GAP area. On Friday evening at 8pm in the Nesbitt Arms Hotel ,the weekend will be launched by Joe McHugh TD, Minister of State at the Department of Culture, Heritage and the Gaeltacht. From 8.30pm in the Ramblers Bar, renowned storytellers; Gene Curran, Bart Whelan, Breezy Willow and Seosamh MacSuibhne will gather around the hearth for the much anticipated ‘Oíche Cois Tíne Storytelling’ evening. 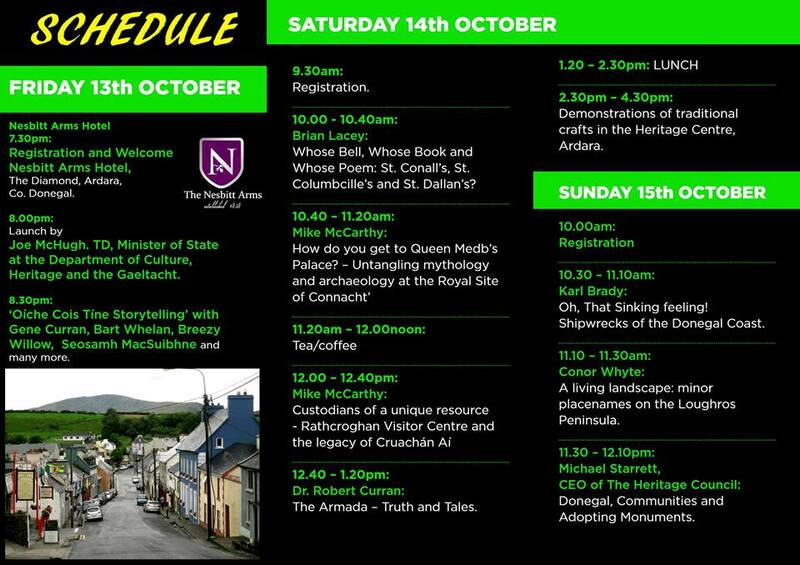 Saturday and Sunday programme includes talks on shipwrecks, tracing the lives of our local saints, seeking out Queen Medb’s royal site at Rathcroghan in Co. Roscommon, the truth and tales of the Spanish Armada, looking at our living landscape from the placenames of Loughros Peninsula, how The Heritage Council works with communities and more. Saturday afternoon’s demonstration’s of traditional crafts takes place in the Heritage Centre and includes spinning, weaving, creel and basket making, hand-knitting and more. On Sunday afternoon there will be a field trip of the greater GAP area. Brochures are now available from around the locality. Online booking for registration is now open and you can contact: ardaraheritagehistory@gmail.com or 087 921 4206 for full details.